Sigaro provides cigar discovery in the palm of your hands. Find out exactly what you're smoking and learn about similar cigars that you haven't tried yet. The more you rate, the more personal your recommendations become. Let Sigaro be your own personal cigar expert! Don't smoke alone. Sigaro includes social features such as check-ins, shareable virtual humidors, and cigar reviews. See what other users have smoked and find out how they stack up. Find one you're interested in trying? Add it to your Try List as a reminder the next time you're making a purchase or buy it directly through the app. With our social feed, you can see what cigars users are smoking and comment on and suggest new cigars to try. 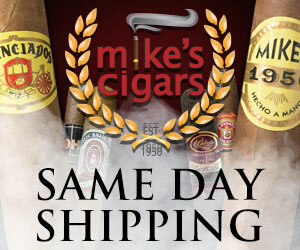 Quickly add a cigar to your Try List or browse deals to find a place to purchase it at. Keep track of your inventory and receive notifications when your stash is getting low. Find details on every cigar in our extensive database. Sigaro learns as you add ratings or create smoke sessions to provide you with personalized recommendations to fit your smoke preference. The more you log, the more accurate your recommendations become! Search for samplers, box sets, and accessories from our participating affiliates. Retail shop or distributor? Contact us or request our media kit to find out how display your products in our app. Get the most complete details about the cigars you're smoking or are interested in trying with Sigaro Premium. Add your own detailed notes for individual vitolas and keep an accurate record of what cigars, and how many, you have in each of your humidors. Get exclusive discounts from our participating partners. Multiple humidor support with unlimited contents. Filter cigar details by vitola. And more! Stay up-to-date with the latest cigars and deals with our membership newsletter. Get placed at the top of our queue for manual matches so you can find out what you're smoking faster.